A 2016 campaign filled with harsh rhetoric and President Donald Trump's Executive Order 13769 -- which temporarily banned travel to the U.S. by refugees and people from seven majority Muslim nations -- brought back feelings for some Long Islanders that they thought were long buried. Bob Machida of Glen Cove recalled that an FBI agent followed his father daily just because of where he was born. Mitsue Salador of West Islip was forcibly separated from her parents for three years during World War II. And Teddy Yoshikami of Brooklyn, who went on to graduate from LIU Post, spent the first 18 months of her life in internment camps. Executive Order 9066, issued on Feb. 19, 1942, by President Franklin D. Roosevelt, was used to intern 120,000 people of Japanese ancestry in 10 camps as a reaction to the attack on Pearl Harbor. The vast majority of the men, women and children -- who are generally referred to as incarcerated or imprisoned in accounts of the times -- were American citizens. In some cases, their families had been in the U.S. for decades. The order was used initially to remove all Americans of Japanese ancestry from the entire West Coast to 15 temporary assembly centers, and later to more permanent relocation centers further inland. In addition, thousands of U.S. citizens and immigrants of German and Italian ancestry were also held at Justice Department and Army camps around this time. 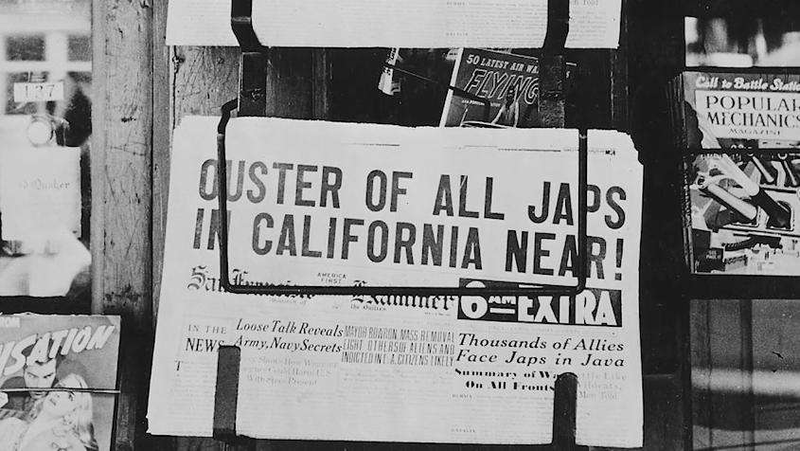 Although the decision was justified by the government on national security grounds at the time, the Commission on Wartime Relocation and Internment of Civilians concluded that “race prejudice, war hysteria and failure of political leadership” were the driving forces. For example, the executive order did not affect Hawaii -- the military did not have enough soldiers to cover the large Japanese-American population there, and they were too integral to the wartime economy of the islands. 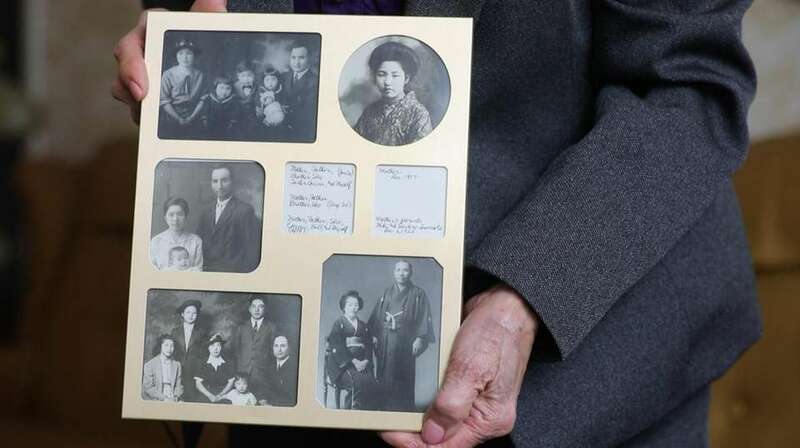 Five people with Long Island or New York ties shared their or their family's experiences in internment camps with Newsday. The number of Nisei (second-generation Japanese-Americans) who are still alive and able to recount their experiences being incarcerated is dwindling. However, that generation and their descendants are eager to tell their stories to help ensure that this period in American history is never forgotten or repeated. Mitsue Salador, now 93, learned about prejudice before she faced her incarceration. She was a starry-eyed high school senior when a representative from a nearby teachers college visited her class in Hood River, Oregon. "[He] said it'd be a wonderful occupation and I thought so, too," she said. "I wanted to be a teacher." When he finished his presentation, Salador approached him and asked if she'd be able to enter the profession. "And without hesitation," she recalled, "he said no." Although Salador expected this answer, she was still surprised to be discriminated against due to her race. Her parents, Sho and Tei Endow, came to America together from Japan's Shizuoka Prefecture. The orchard farmers settled in Hood River with their four children, two daughters and two sons. 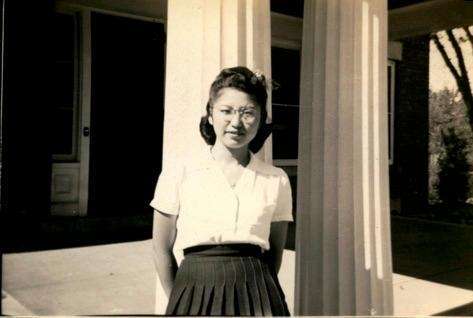 Salador would be separated from her parents and siblings for three years when Executive Order 9066 was issued. Salador was 18 and studying nursing at Linfield College in McMinnville, Oregon, when she was sent to the Portland Assembly Center in 1942 and forced to stay in what was called a "women's dormitory." Salador's parents, sister and younger brother were taken from Hood River to an assembly center in Pinedale, California. Salador's older brother, Sho Jr., was a soldier stationed in Anchorage, Alaska, at the time of Pearl Harbor. He was moved to Chicago and went on to fight in the Army's 442nd Regimental Combat Team, which was almost entirely composed of Japanese-American soldiers. It became one of the most decorated units in American history, receiving 9,486 Purple Hearts and 21 Medals of Honor. "These rooms were made with plywood, white-washed plywood, and I remember vividly the door to the room was just a piece of canvas hung from the frame of the door," Salador said when describing the women's dormitory. "Anybody could walk in and out without any notice." During the first night, Salador remembers filling a makeshift mattress with straw and covering herself with an Army blanket. She said she didn't have an appetite. "In fact, I couldn't do anything but cry," she said. "There were young soldiers who had been assigned to be in these watchtowers that were around... I went outside and just kept crying and these poor guys, about my age I would say, would look at me and didn't know what to say because they could see what was happening. American citizens were being put in a very poor position." After three months, Salador was allowed to move from the assembly center to William Jewell College in Missouri after filling out an application and getting the recommendation of Linfield sociology professor William Smith. "My parents were all for me seeking my own education, so there was no problem with that," she said. "I guess they felt sad that I was not with them, but I felt worse. When you're young like that, still in college, you expect to see your parents on vacations. Well, I didn't see them for three years." As Salador started over at a new school, her parents were transferred from Pinedale to the Tule Lake Relocation Center in California, where they remained for one month. While there, her parents and younger brother went through the same application process Salador did, and were allowed to move to Montana among close family friends. "What also drew them to go to Montana was the United States government wanted workers in the sugar beet field, so they encouraged people to leave from relocation centers to these places that needed agricultural workers," she said. Salador's sister was able to leave as well, and attended college in Chicago. Salador was reunited with her parents when they decided to visit their orchard in Hood River together after the war, to see how it had been maintained. Salador's mother had asked a neighbor to look over the property, and gave him half the profits from the harvest. "[My parents] were quite pleased and looking forward to going back to their property, and I guess I went along with their feelings, but you know, it was scary," she said. "You didn't know what would happen." When they arrived at their home in Oregon, many items they had stored in the house were gone. But Salador's parents weren't deterred. "My parents, after they got back, had to restore the orchard to its normal production," she said. "It had been neglected a bit. My father was able to, and they enjoyed several years, many years actually, of good income and being American in the United States." Salador finished up her nursing degree in Cleveland and then headed to New York with some of her friends. She eventually earned her master's degree at New York University, finally studying what she was so passionate about in the first place -- teaching. She taught elementary-level reading in the Brentwood and West Islip school districts for about 20 years and raised two children, Deborah and Jerome, with her husband, Fred. She hopes the history of Japanese internment can be taught more effectively in schools. "It should be presented as something that happened due to war hysteria, and I think because it was doable -- we were a small minority on the West Coast -- something could be done, and so it was done," she said. "But it should really never happen again even if similar conditions occurred... Civil rights is something that everybody has, and it should be guarded." Salador always leaped at an opportunity to teach or help out her peers when she was young, and was elated to reach her dream career path. "Many Japanese-Americans became important members of their society," she said. "They became doctors and lawyers and teachers and congressmen and all that. But they were delayed a while before they [could] become that, or some of them became that in spite of the delay." Salador sees a similarity between America's political climates of 1942 and now. "People openly stated their fear of Japanese-Americans [in 1942]," she said. "They are doing it again now with other groups... " She said she was watching Fox News when a prominent Trump supporter said "they are thinking of rounding up the Muslims because there's a precedent of rounding up the Japanese." 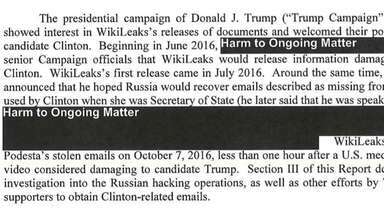 "He failed to mention that that was considered a big mistake by the United States." 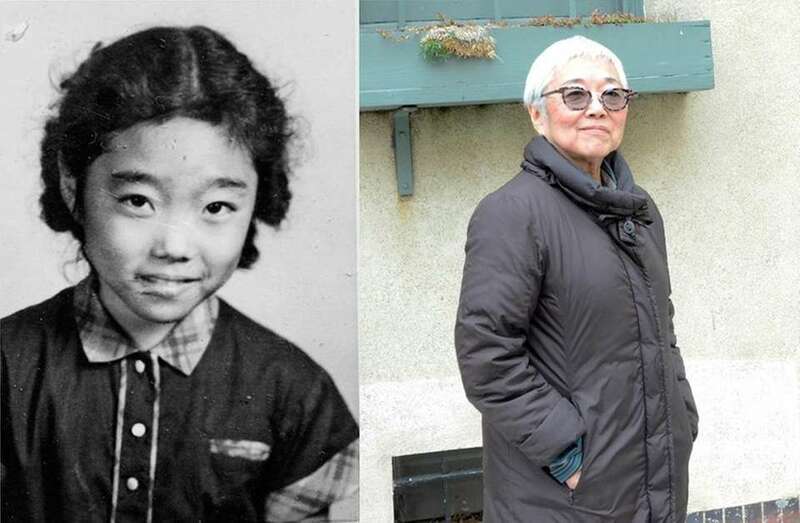 Theodora Yoshikami, now 73, was born in the Tule Lake Relocation Center in 1943. That's the name printed on the birth certificate her parents were given, which Yoshikami described as "just a plain sheet of paper." Yoshikami goes by Teddy now, because when she was in elementary school, a teacher told her that she was too small for her name. The name Theodora came from one of her father's favorite films, "Theodora Goes Wild." The black-and-white picture stars Irene Dunne in the title role. The self-proclaimed "modern girl" protagonist makes it to the Big Apple -- just like Yoshikami did by 1965 -- and declares, "The world will try to rob you of your freedom, but fight for it! It's all you have to live for!" 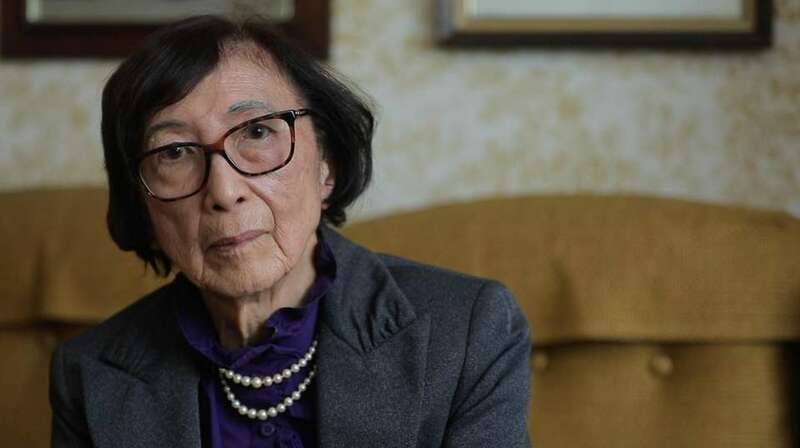 Yoshikami spent the first year and a half of her life in internment camps. As she grew up and became more curious about this experience, her parents stayed silent. "They never spoke to me [about the internment camps]," she said. "And when we'd overhear them talking, it was all about the incidents that happened there, and some of it was happy. They would just say 'camp.' So as a child, I thought 'camp' was like summer camp where you have a good time and you play... They didn't want to share that information with their kids. It was all about moving ahead and becoming more Americanized in terms of what America was at that point." After they were allowed to leave Granada in 1944, the family settled in Seabrook, New Jersey, when Yoshikami was 18 months old. The town was named after Charles F. Seabrook, who ran a frozen foods business in the town. He visited the internment camps to recruit Japanese-Americans for jobs toward the end of the war. Yoshikami's mother received a seasonal job packaging vegetables for little pay, and her father first worked in the factory mess hall, then later managed the storeroom full time. "It was isolated," Yoshikami said, "unless you knew how to drive a car." Yoshikami's mother finally took her to Manhattan for the first time when she was about 8 years old. The trip left her enchanted. "I would put dimes in my bank because I was going to take a bus if it really got bad in Seabrook," Yoshikami said with a laugh. "I was going to take a bus and come to New York. I had all these ideas." "It's funny because growing up in Seabrook, everybody was from camp," she said. "Most people, at least, so everyone had that connection. I remember my next-door neighbor at the time, she was part of our family, but we only met when we went to Seabrook." 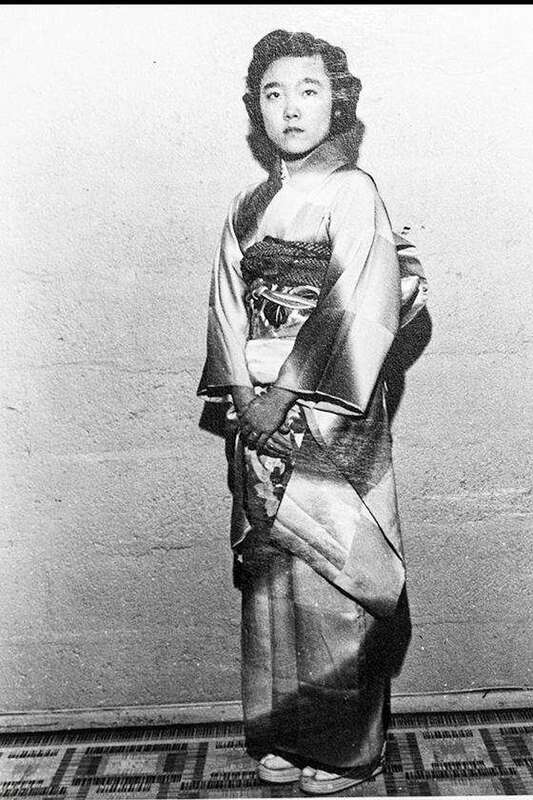 Yoshikami took Japanese classical dance classes as a teenager (shown here) from a teacher who also had come from an internment camp. She wasn't a formally trained dancer, but was passionate about the art form. Yoshikami fell in love with dance and fully embraced it by her college years. She was awarded a full scholarship to LIU Post in Brookville and graduated from there in 1965. Yoshikami had her heart set on creating her own company someday. By 1979, she formed the Morita Dance Company, which highlighted Asian dancers and themes and was based in Manhattan. Yoshikami once choreographed a dance where she depicted how isolated Japanese-Americans can feel, comparing it to the walls of an internment camp. "I did a solo once using just a square light and I come in with a kimono, and then I take it off and I fold it, and it is sort of like being enclosed in this square." 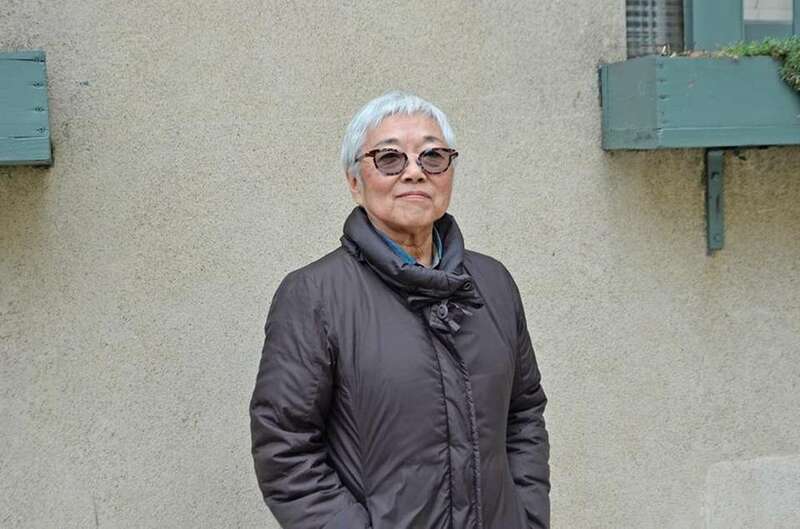 Yoshikami received her master's degree in performance studies from Tisch School of the Arts at New York University, and lived in Japan for nine months with her daughter, Miwa, thanks to a grant she received from the National Endowment for the Arts. She raised Miwa (who is now 41) as a single mother after getting divorced. When they returned to Manhattan, Yoshikami decided to disband her company and take on a steadier job at the American Museum of Natural History. 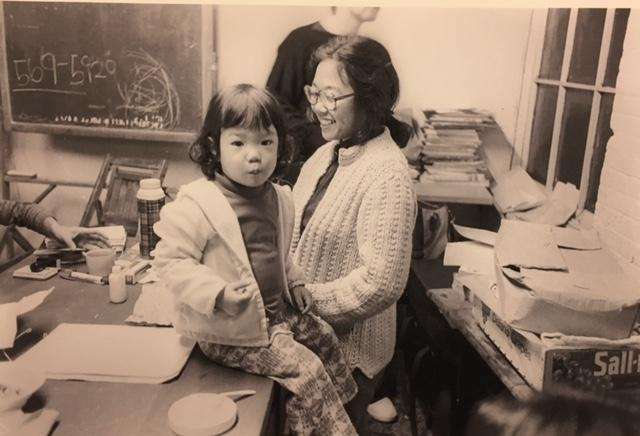 She was hired as an Asian-American consultant, and within a few years was coordinating cultural and scientific public programs in several departments. "I used to laugh because my desk was becoming a big pile in front of me," she said. Yoshikami worked at the museum for 18 years. "Nobody really knows about camps, so it needs to be out there more," Yoshikami said. "I've been pushing ... contacting people who publish the school books. The real history of America is not in the school books." Going forward, Yoshikami hopes Americans will continue to stand up for each other. "I think there's a much larger majority now who would be totally against pushing for registration of Muslims," she said. "I think there's a stronger network of people now who would fight all that: [ACLU], black organizations and everything, whereas that wasn't the case during World War II." Yoshikami said she had been planning on attending the Women's March, but her grandson's first birthday party was the same day. "I don't know what to expect in the future," she said. "The government cannot repeat this, what happened to the Japanese-Americans. [The government] signed off and apologized for doing this. So they better not try to do it again." Born and raised in the north Bronx, Bob Machida, now 72, said children of all nationalities would fill the streets and play together. "Irish, Italian, Jewish, German," he said. "We were the only Japanese family, but we all played together and that was the beauty of it." In the early 1950s, Machida's father, Michael, worked late most weeknights. When he came home, the children would all still be outside to greet him. On weekends, Machida and his siblings Dorothy, Teri and Bill would head to Van Cortlandt Park to throw the ball around with dad, or host barbecues using one of the pits outside. "I always remembered," Machida smiled, "the times we had were good." Before Machida was born, his aunt and uncle, Margaret and Robert Tsuda, moved from Manhattan to Southern California in 1942. Margaret said Robert thought they would be safer there once the war began, since there was a larger Japanese-American population and they could blend in. Plus, Robert wanted to be closer to his sisters. 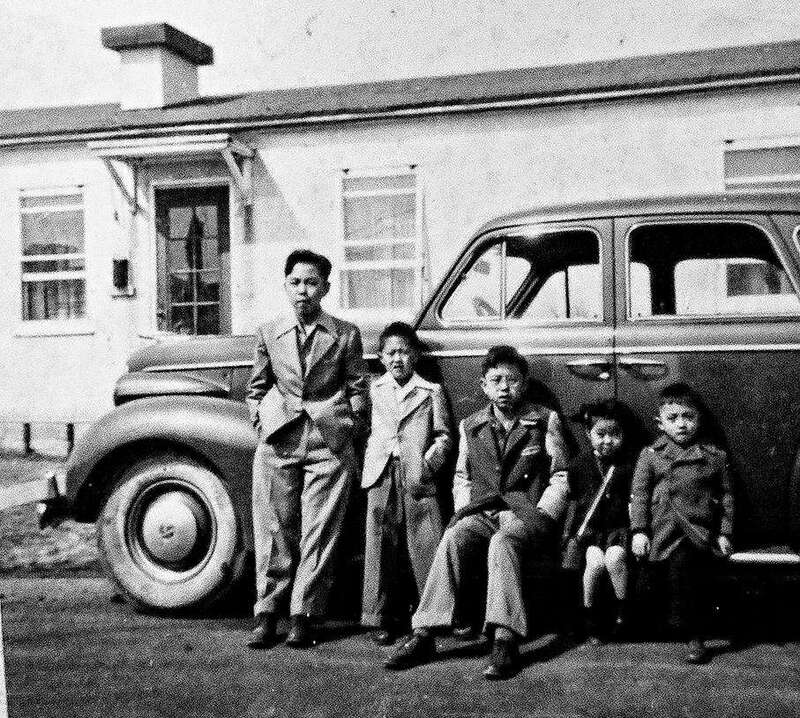 However, within months of their arrival, the Tsudas were ordered out of their new home and sent to Tanforan Assembly Center, where they slept in horse stables. From there, they were transferred to Topaz Relocation Center in Utah. Meanwhile, back in New York, Machida's father was being tracked by an FBI agent, as were many people living on the East Coast who had been born in Japan, according to Machida. He said the agent and his father became acquaintances through this experience. "They were able to talk to each other," he said. "There was nothing, from what I hear, demeaning about it. That was his job, and he did it." "However, the overall picture in the United States, the overall pictures in the newsreels... That was not something that was good." The Tsudas were released from Topaz within six months, after his uncle received a job at a newspaper in Salt Lake City. By the time Machida was in high school, he was more curious than ever about what happened to his family. "But nobody ever talked about it," he said. "That generation, for the most part, did not talk about it. So it was up to future generations to say we're not going to put up with this. This was an insult to our family, or to our parents, or our grandparents." Machida joined the Peace Corps and spent two years teaching in Ethiopia and Eritrea. When he returned to America, he went on to study education at Adelphi University in Garden City, where he met his wife, Fran. 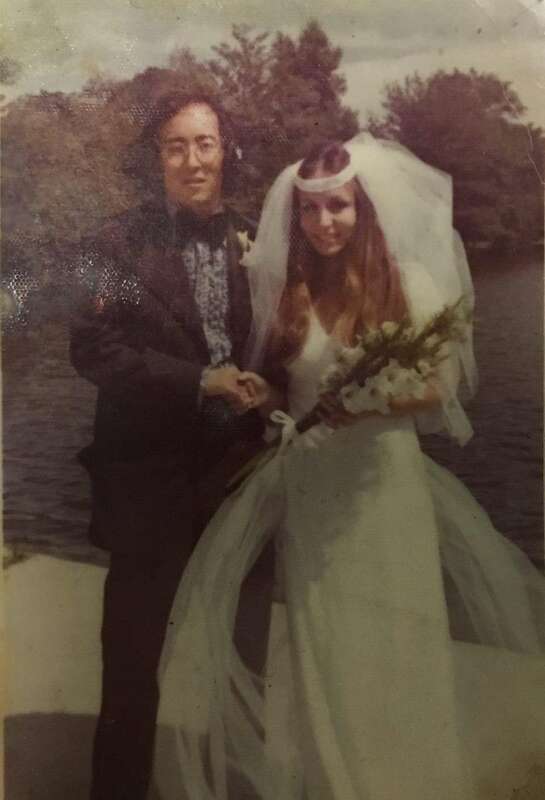 The couple married in 1972. Machida ended up teaching sixth grade at John F. Kennedy Elementary School in East Islip, while his wife taught in the Brentwood School District. After his first child was born, Machida headed to LIU Post in pursuit of a master's degree in political science. Soon after, the federal Commission on Wartime Relocation and Internment of Civilians was held to examine the effects of the Japanese-American internment camps, bringing forth witnesses to testify. Machida knew he had to get involved. "I started talking to a few congresspeople, and then I petitioned Albany," he said. "I asked them to pass a resolution backing the federal findings on the internment of Japanese-Americans, asking for reparations and, primarily, an apology." The resolutions passed in 1984 by the New York State Assembly and Senate, declaring the government's wrongdoing. 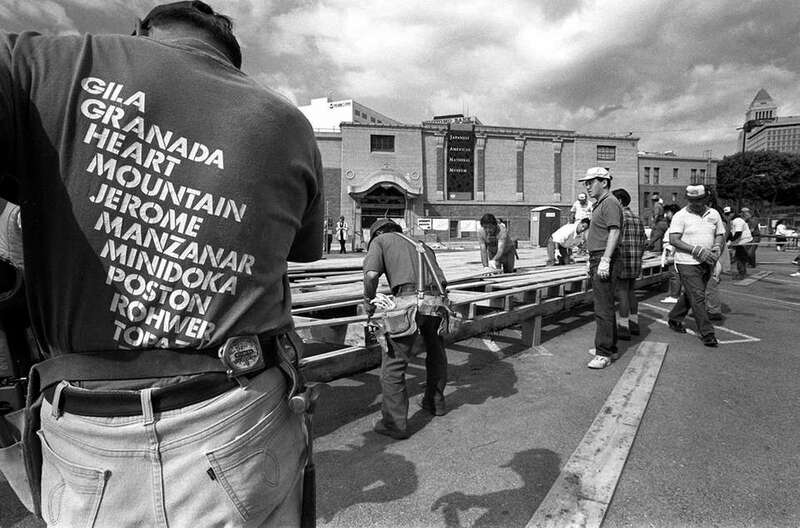 Then in 1988, a $20,000 reparation was issued in addition to an apology to the remaining internment camp survivors of the United States. 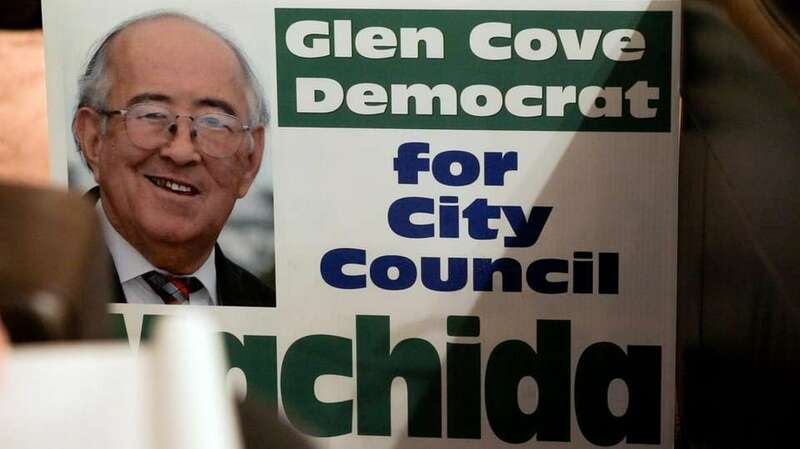 Machida went on to run for New York State Senate and Glen Cove City Council. Although unsuccessful in his bids, he continued to be vocal on issues he cared about -- blocking the Shoreham nuclear power plant and environmental protection. Machida hopes American government officials will be conscious of their language. "It's not [about] being 'politically correct,' it's being decent," he said. "They're overusing that [term]. It's just being a decent person; that you don't go around bad-mouthing people, belittling people, bullying people. You can be strong without being a bully." Machida said that throughout his career, he was constantly motivated by the injustices that his family endured. He said that Japanese-American incarceration is one of the main reasons he went into politics. "Do you want to see your parents interned?" he asked. "Do you want to see your parents in a relocation camp? Do you want people making fun of you? Those are the questions; those are the issues that hit home to you. 'Hey you know what, that was my parents or grandparents ... who were interned.' And you want to know something? That's not right. And it's not 'war will be war,' it's racial prejudice, war hysteria, and a failure of political leadership." Machida still keeps in touch with his Aunt Margaret, now 95. She made her way back to the East Coast and now lives near Albany. With time, Machida said his parents made peace with the United States. "I have to say, I think they were still hopeful for America," he said. "My dad became an American citizen after [World War II] ... That shows that he had hope in this country and he was here to stay, and that this was the best land of opportunity for them. And with the apology [from the government], I think they moved on." He also weighed in on President Trump's recent travel ban. "You don't want to slide back into the dark side where there was discrimination and prejudice against Japanese-Americans," Machida said. "The Statue of Liberty is a symbol: 'Give me your tired, your poor, those yearning to breathe free.'" He added, "It's just something that we've always felt as a country: We've always welcomed people, and we always should." Machida hopes America can move forward on a positive note. "We are a melting pot in this country, like it or not," he said. "And those people who don't like it are living in the past, because it's not going to happen. There's no turning back." While looking back on her childhood in Hanford, California, Madeleine Sugimoto, now 80, remembers her freedom. Even at the age of 5, Sugimoto walked to her best friend's house and to school by herself most days. "It was very safe," she said. "It's a small town so there wasn't a lot of traffic and children would play together... It was just a lot of fun and I don't ever remember being told by my parents, 'Be careful of this, be careful of that.'" Sugimoto's father, Henry, came to America from Wakayama, Japan, and her mother, Susie Mae, was born in California. In 1942, Sugimoto and her parents were instructed to board a canvas-covered truck with the letters WRA (for War Relocation Authority) on its side. The truck was packed with Japanese-Americans, all unsure of what was ahead. Sugimoto was 6 at the time. The next thing Sugimoto remembers is arriving in Fresno, California, and receiving painful injections in both of her arms. "Apparently it was the vaccination because we were all going to be put together in a group, and I guess for health reasons, they were giving us vaccinations," she said. After spending a few months in Fresno, Henry -- who was a professional artist -- created this portrait of his daughter. The label pinned to her dress was for identification purposes since there were so many people in the assembly center. 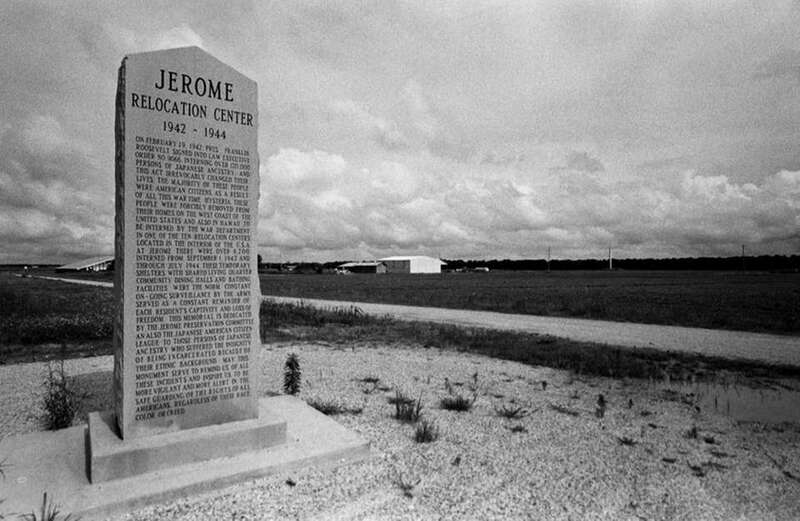 Sugimoto's family was later transferred to the Jerome Relocation Center in Arkansas. They traveled by train; Henry and Susie Mae sat side by side in a two-seater with their daughter crammed in between them. Sugimoto said she tried resting her head on her mother's shoulder, then her father's, but didn't get much sleep. 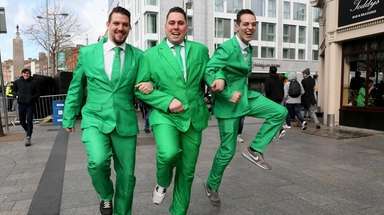 "Periodically they would stop the train and let everybody out so we could just walk and get our legs moving from having sat for a long period of time, just along the side of the train itself," she said. "There would be MPs [military police] all standing [around] so that we wouldn't run away, and I don't know where we'd run to because it was in the middle of nowhere." Sugimoto and her parents spent three days and four nights on that train. When they arrived at the Jerome Relocation Center -- pictured here with a historical marker in the 1990s -- her parents found comfort in bursts of normalcy. Henry and Susie Mae were both teachers in the camp -- she led a first-grade class; he taught high school-level art. Sugimoto remembers doodling in coloring books and roaming the fields outside camp with three boys her age. "We decided that the best way we could do it so that the MPs wouldn't find us was if we go under the guard tower where they were, and we'd sneak under the barb wire in the guard tower area and then we'd go out into the countryside," she said. One day while exploring, Sugimoto placed her foot on something that moved. A boy said to her, "You know, that was a copperhead you stepped on." To Sugimoto's delight, some of the men in the camp later found and captured a rattlesnake, which she would often poke at with sticks, despite its venom. She also kept two snapping turtles in a box of dirt underneath the steps of her barracks. She recalled with a warm smile, "I guess the idea is as a child, you could catch something that's wild and bring it in, and it becomes your pet." 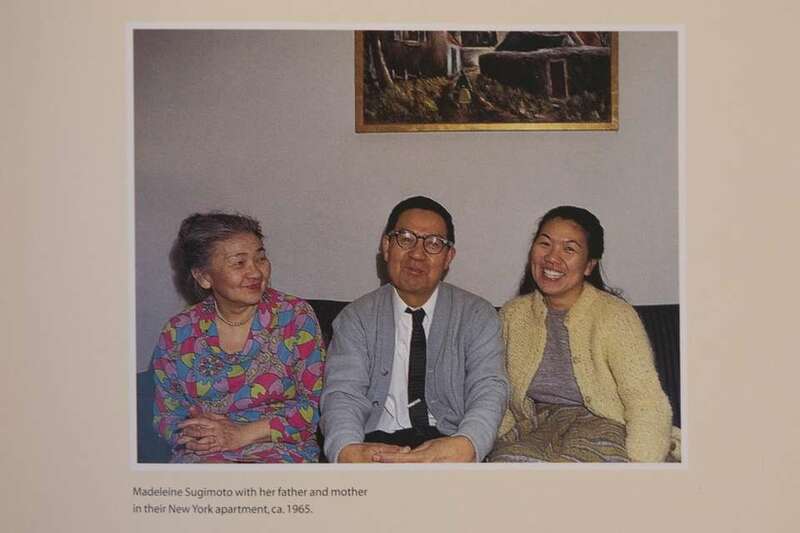 After the war, Sugimoto and her parents moved to Manhattan, where she's lived ever since. 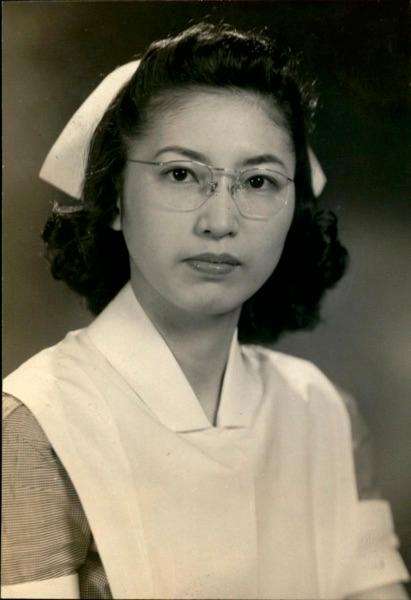 Sugimoto graduated from Cornell University and worked as a medical-surgical nurse for decades. 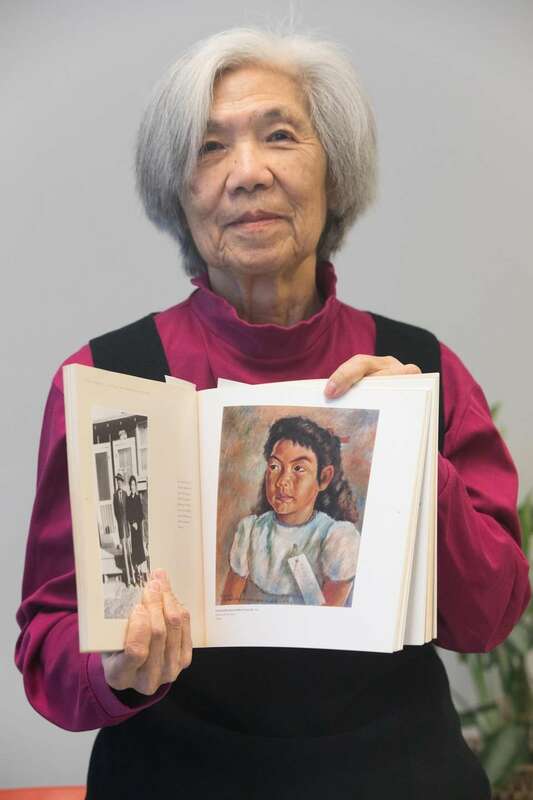 Her father became an acclaimed artist through his watercolor and oil paintings depicting his life in the internment camp. With the government's reparation, the family founded a scholarship in his name at the California College of Arts in Oakland. "I feel very happy because I think that my father was very much interested and supportive of students in the arts, so I think this is a very specific way -- a tangible way -- to let his feeling and love of art be continued," she said. Sugimoto said her own career path was so fulfilling for her that she never seriously considered getting married or having children. "My parents let everything go pretty much the way I wanted [it] to," she said. "They didn't have a particular way of speaking to me, so I didn't feel I had to meet certain standards." Sugimoto went back to visit Jerome about 20 years ago, and hopes that people who live in Arkansas will visit the monument and learn about this period of American history. "It really was an upheaval in so many lives, when you think of it," she said. "It was 120,000 people from the West Coast that lost everything, were put into concentration camps never knowing what was going to happen, and the government was responsible for all of this. I think it's an important thing to remember, that the lives of so many people were destroyed, or they had to start all over again." 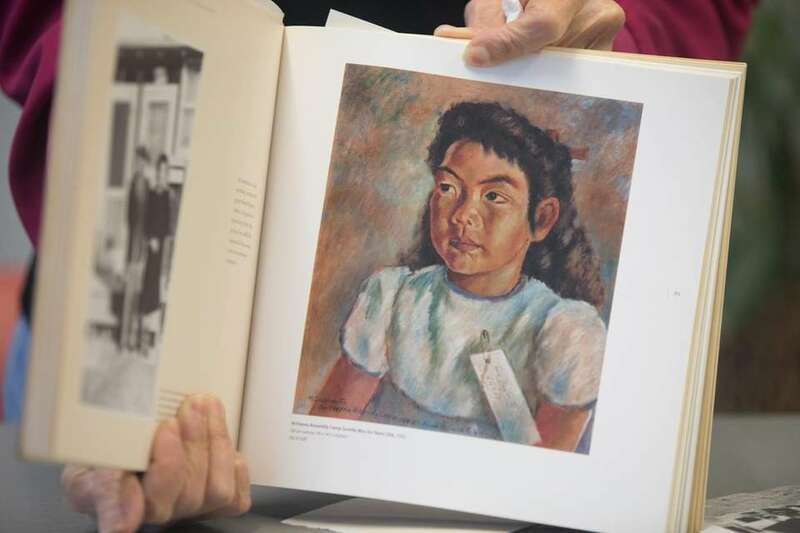 Her father's artwork lives on in the Japanese-American National Museum in Los Angeles. While flipping through a book of his work--"Henry Sugimoto: Painting an American Experience" by Kristine Kim -- she stopped at a painting of a man gazing at a bird in a cage. "I thought this was a very good one, saying that when you're in camp, you're like an animal that's caged," she said. She later added, "He was a man of very few words, but I think that his paintings spoke for him." 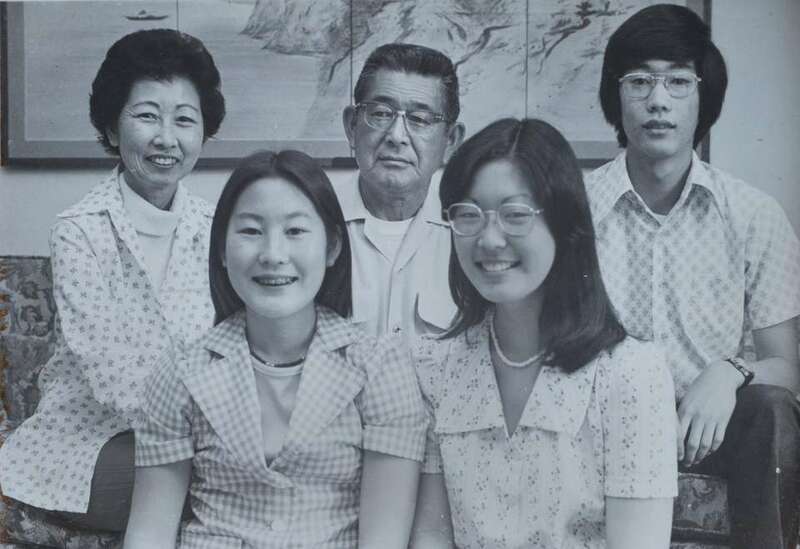 Stan Honda, now 58, is pictured here in the '70s next to his parents, Ruth and Masami, and his sisters, Margaret and Maya. 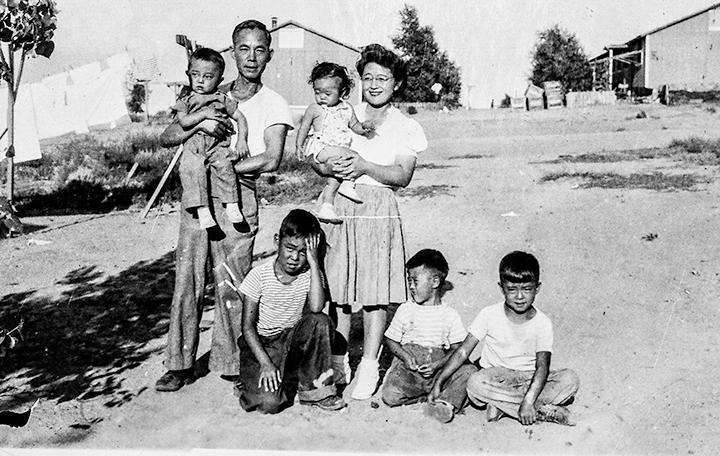 Honda's parents, aunts and uncles were incarcerated at the Poston Assembly Center in Arizona in 1942. 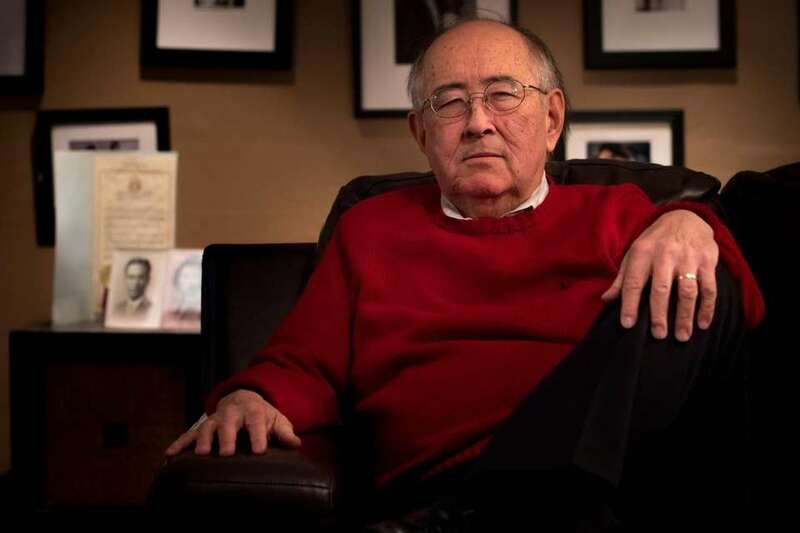 Honda's education on internment came from sitting in his family's kitchen among the outspoken and opinionated women in his family at gatherings while growing up. He noted that the men were far more quiet and reserved. Still, all were connected by their experiences in the camps -- and talked about it. "Oftentimes they would reminisce about a friend and say, 'Oh, I knew this person in camp,' and you'd know exactly what they were talking about," said Honda, a former Newsday photographer. "Of course in school, even now, there's probably barely a mention of incarceration in any textbook, even though this is part of American history. In my school, elementary through high school, there was zero mention of it. There was none at all." 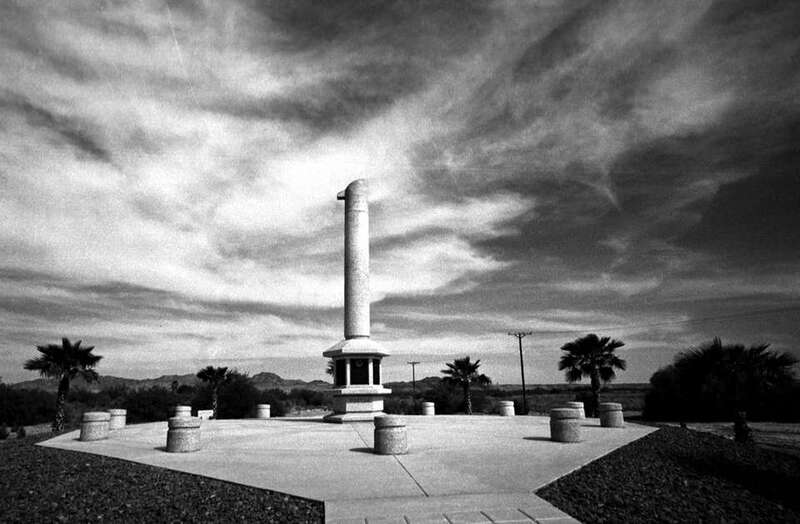 The camp where Honda's family was incarcerated was built on the Colorado River Indian Tribes reservation; this monument stands there now. "So essentially," Honda explained, "[the government] threw off one group of people that they were oppressing, to imprison another group of people." Masami was 24 and Ruth was about 18 when they were in the same camp, although they didn't actually meet until many years later, when they both wound up in San Diego. When Honda thinks back on what his parents and relatives told him over the years about their internment experiences, one image stands out the most. "They talked a lot about the toilet and shower facilities, [which] were separate from the barracks," he said. "Initially, oftentimes it was just a whole row of toilets without any partitions. That's what the people found when they arrived at the camp: a latrine with toilets without any partitions." Eventually, Japanese-American men were allowed to construct partitions out of cardboard, starting with the women's facilities. "My aunts and my sister are just unbelievably neat and clean. And my aunts lived through all this. It must have been just horrifying for them." Honda collaborated with Sharon Yamato on "Moving Walls: Preserving the Barracks of America's Concentration Camps." 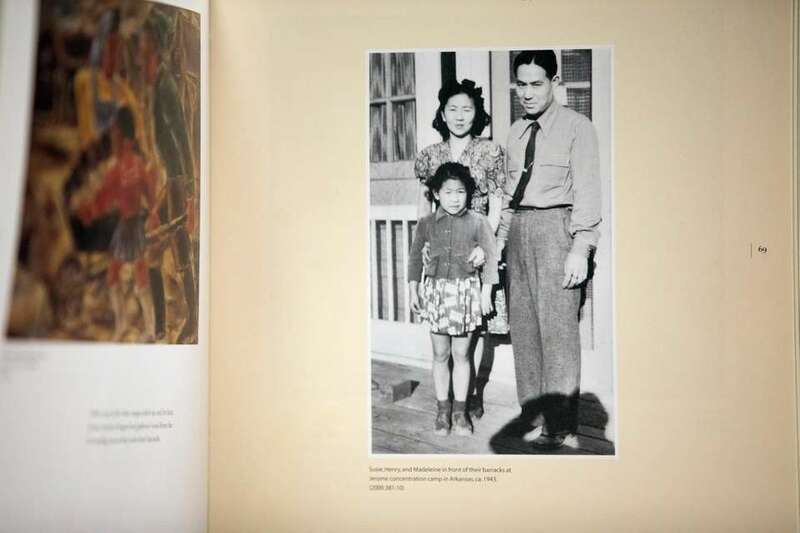 Published in 1998, the book focuses on the Heart Mountain Relocation Center in Wyoming, and how Japanese-American volunteers banded together to remove the barracks and preserve them in the Japanese-American National Museum in Los Angeles. "These men were climbing up on top of these barracks to pull off the tar paper and pull off the wooden slats of the roof," he said. "Kind of dangerous, but they were just back home working on their roof. 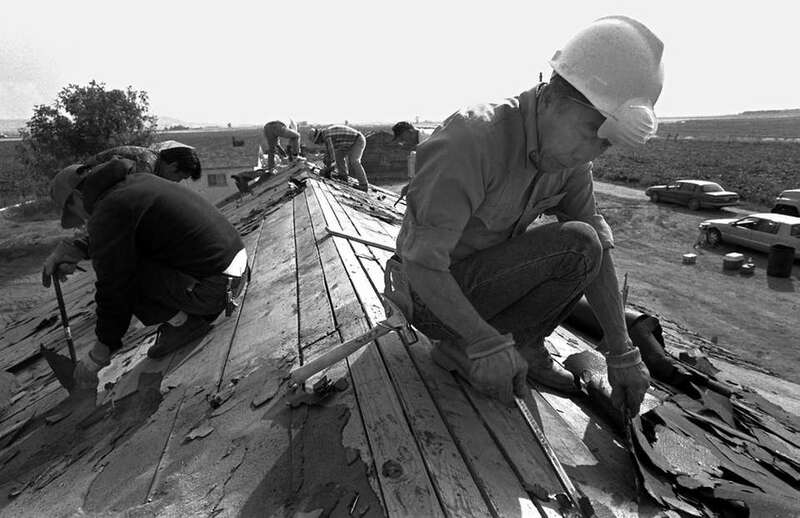 That's what it was like for them, because they worked on their own homes." Yamato and Honda are now working to expand their book and produce a documentary on the subject. Honda was interested in discovering how this period in history is recognized at each location. He has photographed nine out of 10 internment camp sites -- with the exception of Gila in Arizona. "I think the most surprising thing was to see these monuments in the middle of these fields that are now being farmed, that once there was this incredibly huge prison that was holding people," he said. "Many of the sites are still undeveloped and they just took the barracks away, and oftentimes you see the concrete foundations that were poured for the barracks. There's this shadow of the camp that's there at the site." During Honda's journey, he traveled from Heart Mountain in Wyoming to the museum in Los Angeles, pictured here, with one volunteer whose shirt bears the names of all 10 internment camps. Honda found that even though his family of Nisei was open to speaking about their lives during World War II, many other Japanese-American survivors were less inclined. "Many of them are reluctant to talk about their own experiences, especially if it's a bad experience," Honda said. 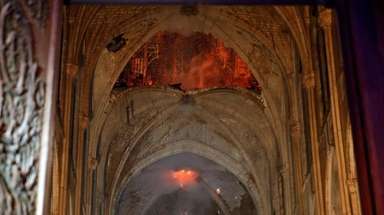 "And this is a horrifying experience that scarred most people for life and affected a lot of people's lives for the worst. Especially within the Japanese-American community, it was often interpreted by individuals as a very shameful thing to have been done to you: Why were you imprisoned? You must have done something wrong." Honda worked at Newsday as a photographer for six years. His career in photojournalism has spanned three decades. 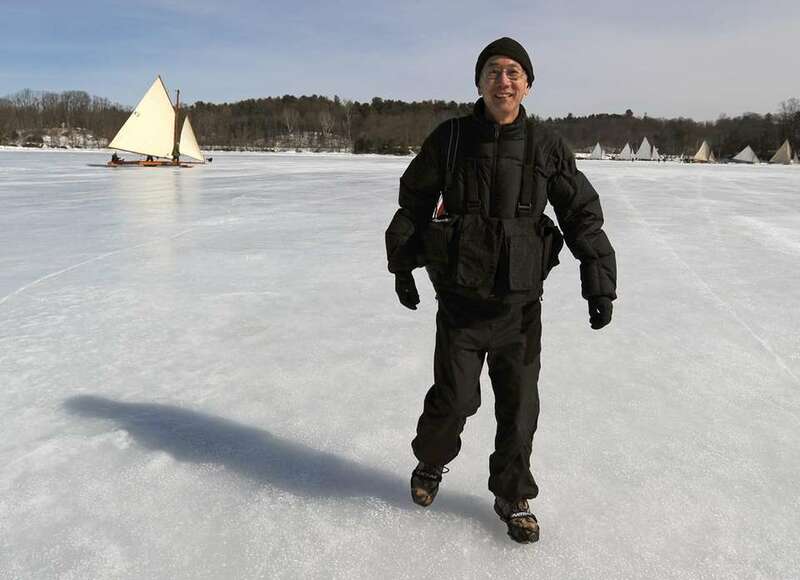 Most recently, he worked for Agence France-Presse, and is pictured here on assignment in 2014, standing on the frozen Hudson River. Honda sees a connection between the political landscape in America today and during the time of Executive Order 9066. "I think there's this hysteria by association, which happened in 1942," he said. "You can read all the horrible propaganda and the things that government and military officials were saying back then. The Japanese-Americans, who were American citizens, were just guilty by association. They were of the same ethnic background as one of our enemies."